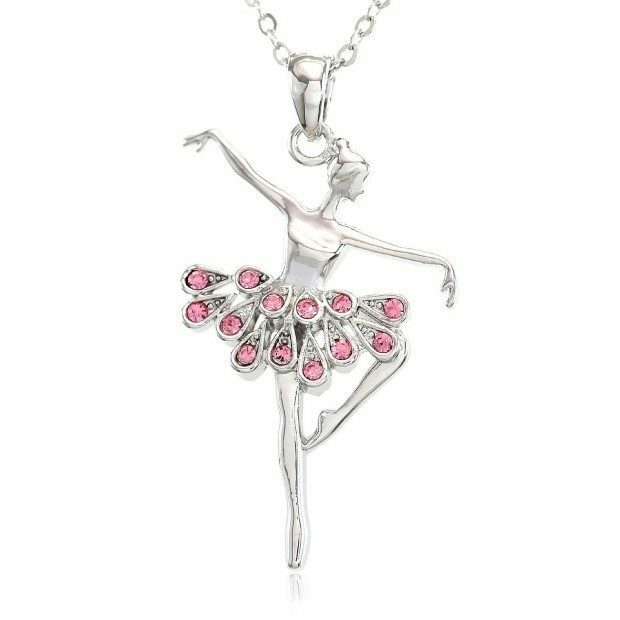 Light Pink Dancing Ballerina Pendant Necklace Just $7.99! Ships FREE! You are here: Home / Great Deals / Amazon Deals / Light Pink Dancing Ballerina Pendant Necklace Just $7.99! Ships FREE! Head over to Amazon and get the Light Pink Dancing Ballerina Pendant Necklace for Just $7.99! Ships FREE! Delight your favorite little dancer with this delicate ballerina with whose tutu is studded with pink crystals! Highly rated by shoppers!